There was a time when people expressed their hatred in private or within social circles, but the Internet has dramatically changed the way we share ideas and interact with others. While the Internet has become an incredibly powerful tool for sharing ideas and connecting people, its wide accessibility has also created opportunities for groups and individuals to generate and proliferate hate. 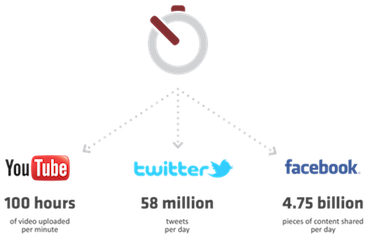 Every minute 100 hours of video are uploaded to YouTube, and every day there is an average of 58 million tweets and about 4.75 billion pieces of content shared on Facebook. Given the staggering amount of content created, uploaded, or posted online, it is impossible for social media companies to proactively review each piece of content found on their platforms. 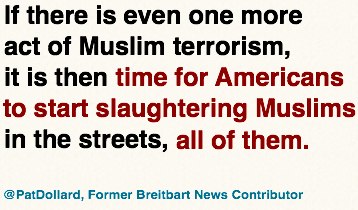 In addition, the mass accessibility of social media sites makes it difficult to know exactly how many pieces of anti-Muslim hate are transmitted every second of every day. But we do know, even anecdotally, that the problem exists in many different forms. Click Here to End Hate: Anti-Muslim Bigotry Online & How to Take Action exposes the breadth of anti-Muslim hate online with examples from leading social media platforms. In addition, the report provides an overview of existing laws governing hate speech and content policies created by Internet companies. Although the law rarely requires that material be removed from the Internet, there are important steps that Internet users can take to respond effectively to hate speech online: namely, reporting and counterspeech. 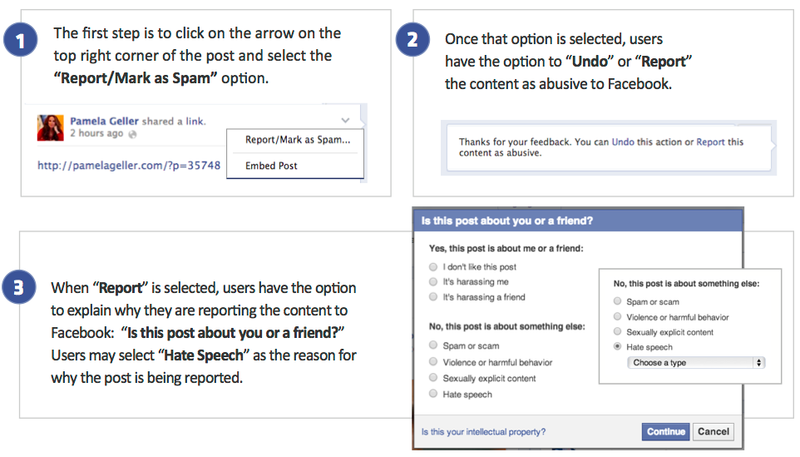 The report walks readers through step-by-step instructions on how to report content using the tools that Internet and social media companies have put in place. 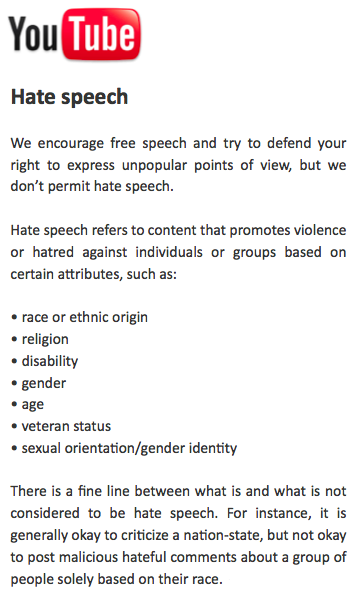 The report also gives specific examples of counterspeech, which has been recognized as a useful and often successful method of responding to hateful speech. Although the law provides very limited recourse to victims of hate speech, there are still steps they and others who reject bigotry can take to address online hate. 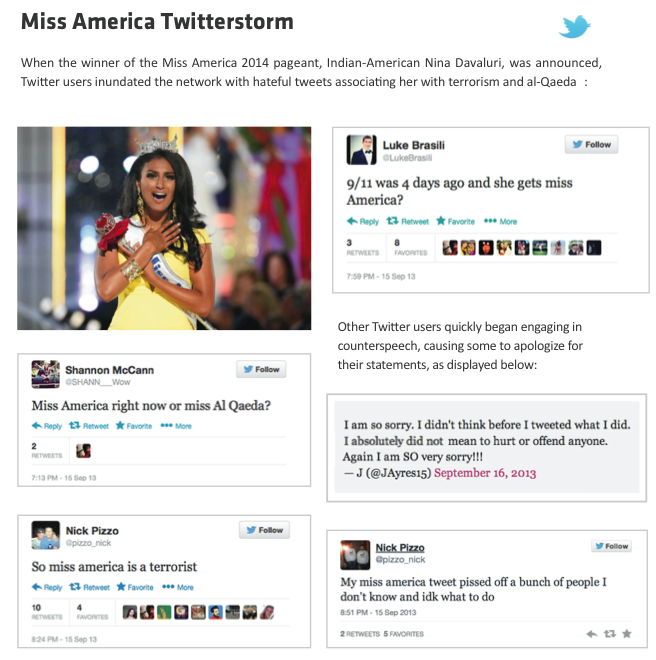 The two most effective responses are reporting content to the Internet companies and engaging in counterspeech. At any given moment, there are millions of people all over the world using the Internet and social media. Internet companies are not able to review all content before it is uploaded or posted. 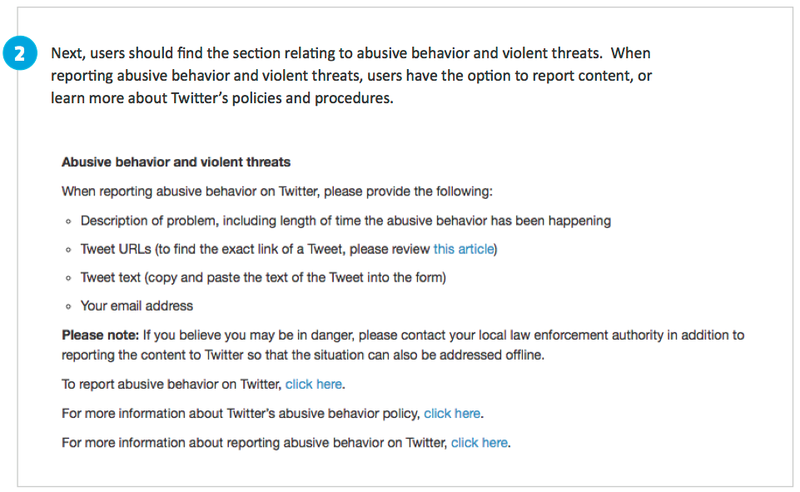 Instead, they look to their users to report content to them if users believe that it violates their policies. Even if a user is not completely sure that a piece of content violates a policy they are encouraged to report it anyway, and many of the large Internet companies have designated teams to review the content and make those determinations. 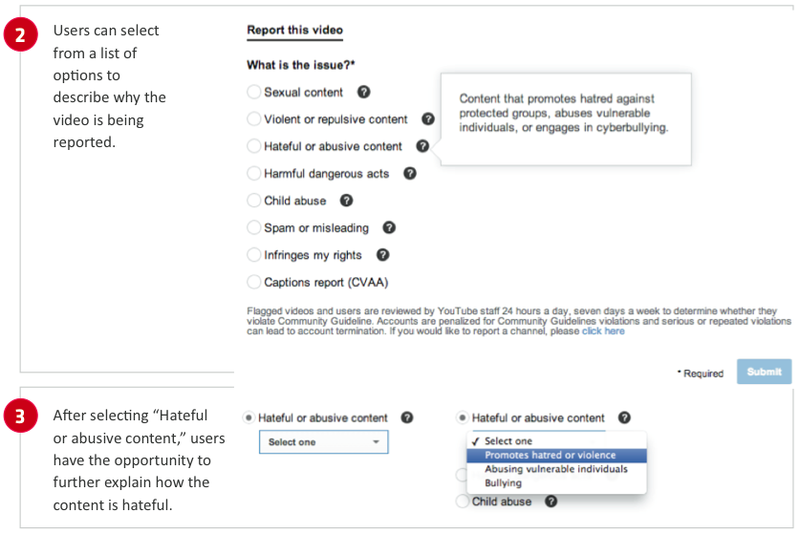 Click the tabs above to learn how to report content on Facebook, Twitter, and YouTube. 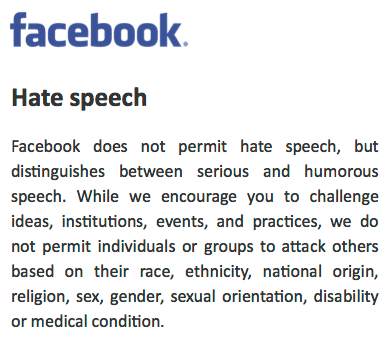 Click here to access Facebook’s Community Standards. If you have reported content and it was not removed, contact Muslim Advocates and let us know about it by using the form below on this page. 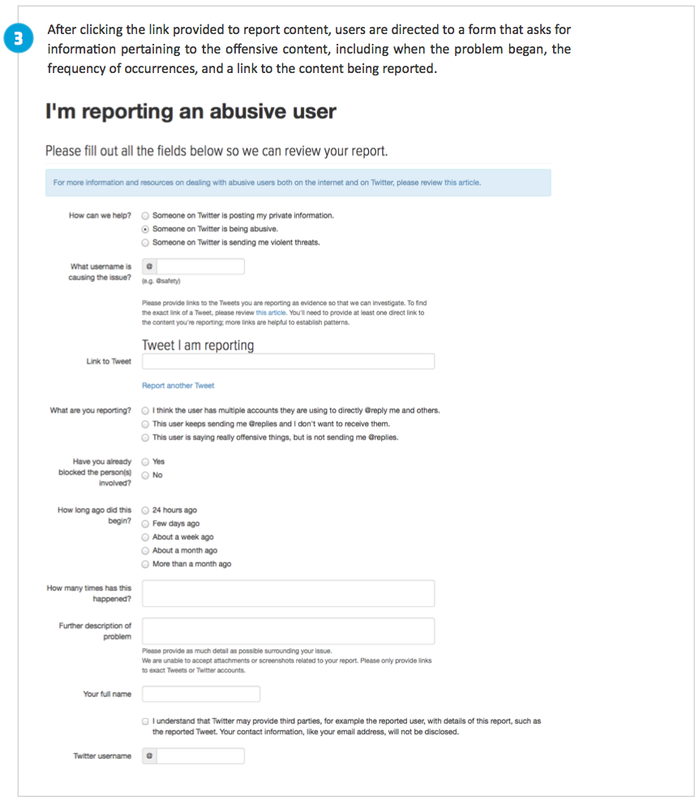 Click here to access Twitter’s Help Center on reporting violations. Click here to access YouTube’s Reporting Hub. Bad speech should be countered with good speech, and false speech with truthful speech. The courts and civil society have encouraged this type of response to offensive speech for decades. When content will not be removed from a website because it does not violate corporate policies, a common method of responding on social media sites has been counterspeech. 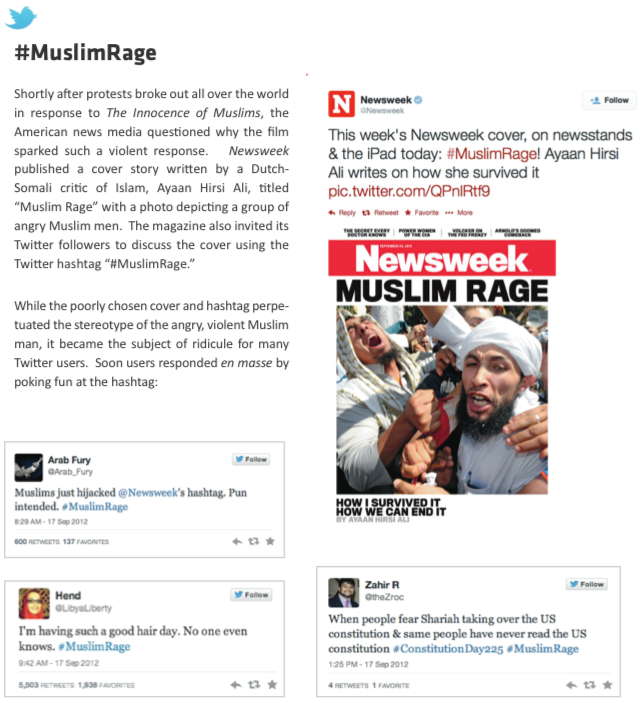 Click the tabs above to see examples of counterspeech campaigns in response to anti-Muslim bigotry online. Report Threats to Law Enforcement. If you have been the target of threats, report them to law enforcement immediately. 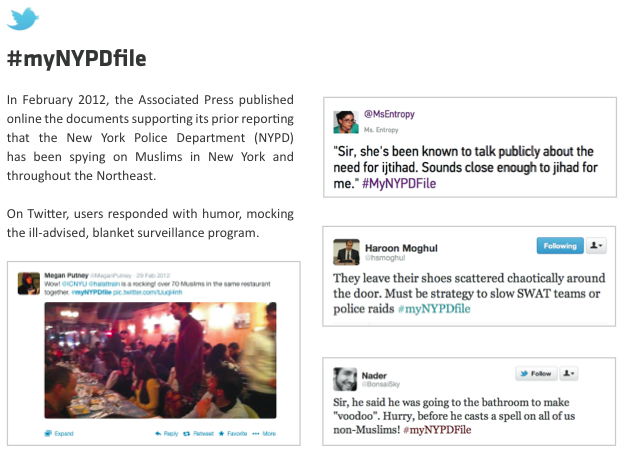 Let us know about examples of online hate so we can continue to monitor hate directed at the Muslim community. We also want to hear about your successes in reporting content or using counterspeech as a response to online hate.